This app provides to you questions and answers covering Advanced grammar rules and Advanced vocabulary - is great for English as a second language students - or any one who wants to test / review their knowledge of Advanced English Grammar. 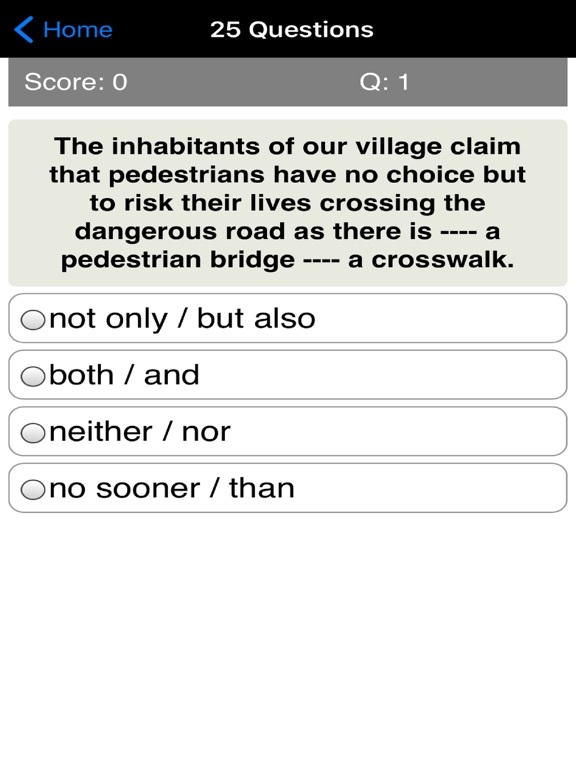 App provides great practice for advanced ESL classes, preparing for major English exams such as TOEFL, IELTS, SAT etc. 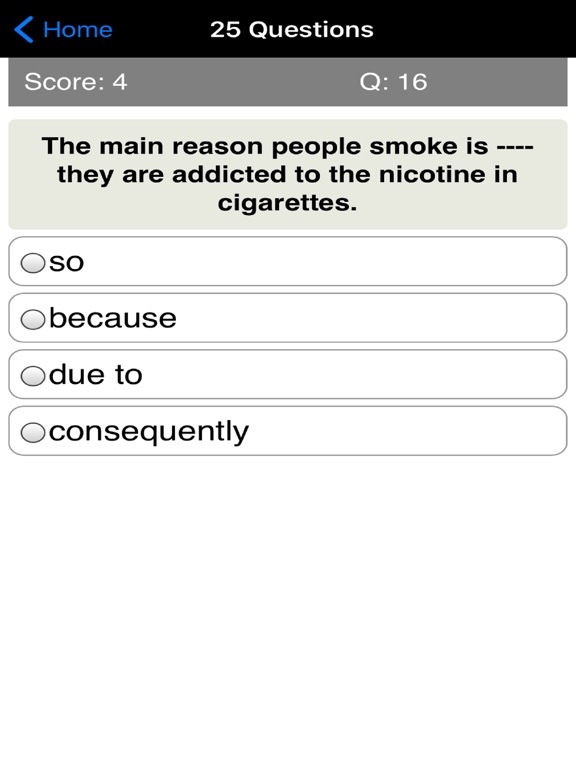 You will definitely learn new words and reinforce your knowledge of words as you use this app. 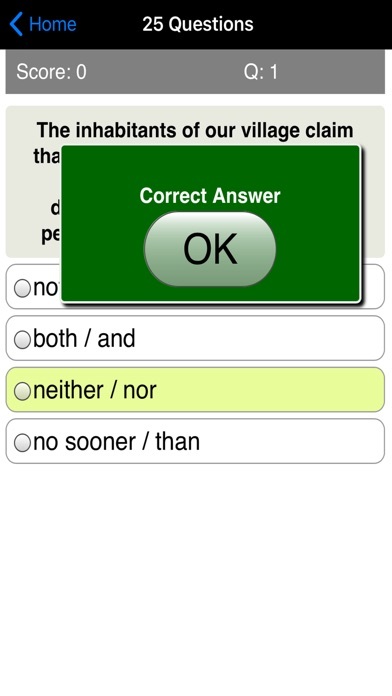 This app provides 800+ questions covering a wide range of English Words - some easy and some more difficult. 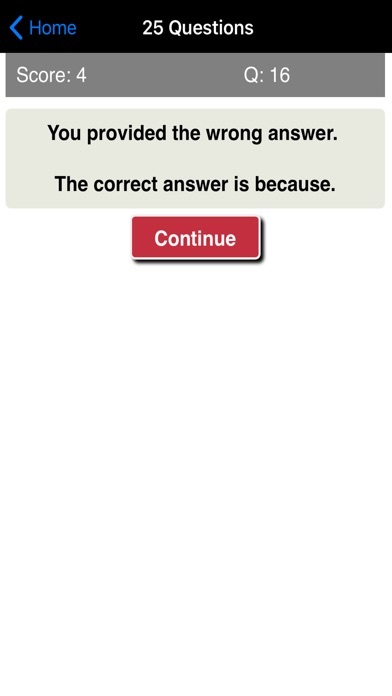 It’s a great review app for any one studying for an ESL exam - or just wanting to improve your command and knowledge of the English Language. 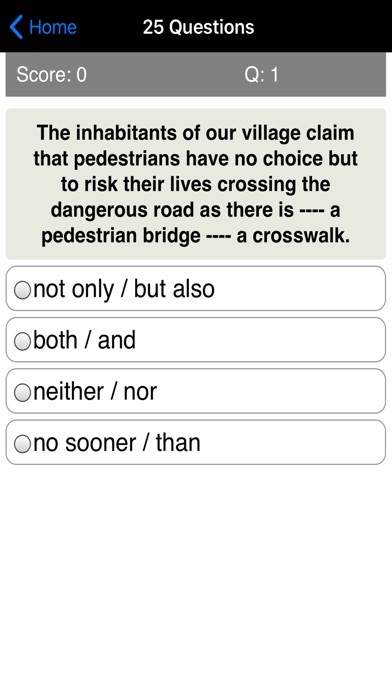 The app contains 800+ questions - both true/false questions and multiple choice. It's great as practice app that you can use to test what you have learned or also as a refresher that you want to use as you prepare for or just before taking an exam. 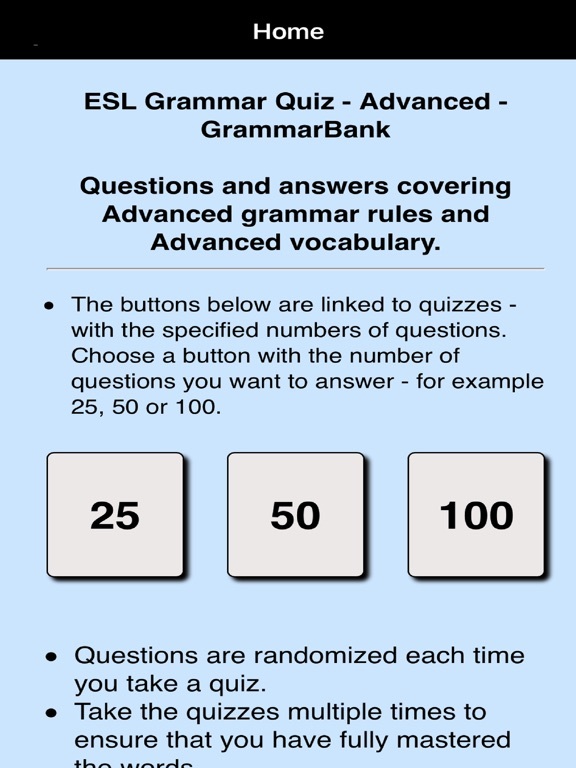 Try this ESL Grammar Quiz - Advanced - GrammarBank today and you’ll be glad you did!